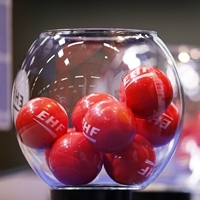 The Women's EHF EURO 2018 Qualification Draw takes place on 21 April 2017 in Paris. Listed one by one, here are all the facts you need to know about it. The draw starts at 12:30 hrs. It takes place at the French National Olympic Committee in Paris. The draw will be streamed live on EHF EURO YouTube channel and the EHF EURO Facebook page. How many teams participate in the qualification? There are 28 teams participating which will be drawn to seven groups of four teams each. And who are these teams? What do the pots look like? What about these winners from Qualification Phase 1? Who are they? The first qualification phase will be played from 9 to 11 June 2017. Finland, Faroe Islands and Greece were drawn to Group A, Israel, Kosovo and Georgia to Group B. Only the winner of each group advances to the second, the main qualification phase. When is the second qualification phase played? The top two teams of each of the seven groups will qualify for the final tournament. Furthermore, the best third ranked team overall qualifies. How is that best third ranked team determined? To determine the best third ranked team only the matches against the teams ranked first and second are taken into account. That makes 15 teams that qualify. Who is the 16th team? France as the organisers of the Women's EHF EURO 2018 are the only that is already qualified for the 16-nation tournament. When and where is the Women's EHF EURO 2018 being played? The Women's EHF EURO 2018 is played from 30 November to 16 December. The host cities are Nancy, Nantes, Montbéliard, Brest and Paris. The French capital will host the final weekend.